At 4 a.m. we pick you up at your hotel and travel 4 hours in our private bus to Cachora. Here we will be met by our muleteers and horses and then begin our trek. The trail will be flat until Chuquisaca and after will be a slight uphill slope. Later we pass through Capuliyoc, where we will have a great view of the Apurimac Canyon. Finally, we will descend to Playa Rosalina situated on the banks of the Apurimac River. Our camp is located at 5115 feet. Early in the morning we will eat breakfast and start our trek on a narrow, uphill path that will lead us to Choquequirao. Here, we will visit the archaeological site with our guide. The views of the Canyon are spectacular and we will have the chance to spot Andean Condors (sacred bird of the Andes) passing through the mountains. Our camp is located at 11,050 feet. We begin an uphill walk to 10,890 feet and later descend to the Rio Blanco (6270 feet). On the trail we will pass the archaeological site of Pinchiunuyoj. From there we will observe different species of birds, many varieties of orchids, and local coca plantations (9075 feet). From the Rio Blanco we will climb up to Maizal (9900 feet). This leg of the journey takes around three hours after which we will camp. On this morning, we will walk up to the Incan mines called Minas Victoria. Very near the peak the original Inca Trail will be visible. We will pass the altitude 13,695 feet and then descend to our camp at 12540 feet. Immediately after breakfast we will begin a slow climb to the highest point of the trail at 15,410 feet. The view from there is incredible and we will travel on to the snow covered mountains of Sacsarayoj and Padreyoj. Our camp will be at 11,979 feet. On this day we descend to the Totora River. During our descent, the wildlife will become more interesting with a variety of song birds, woodpeckers, and many species of orchids and begonias. We camp at 6600 feet. This day, we will make our final ascent to 9273 feet which will take approximately 3 hours. 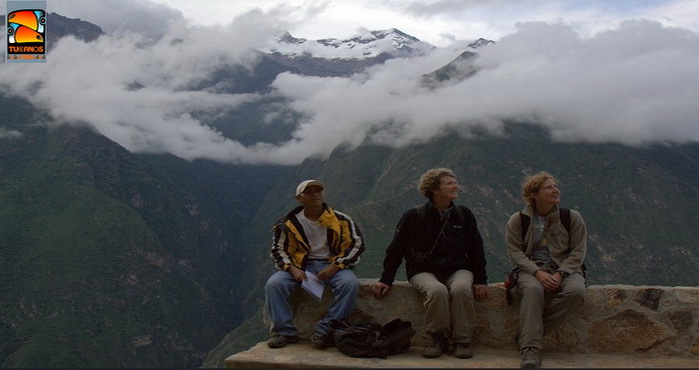 From this place we will have excellent view of the, "Lost City of the Incas," Machu Picchu. After a good rest we will descend to the hydroelectric plant of the Urubamba River and from there, depending on the weather, we will walk or take the train to Aguas Calientes and stay the night in a hotel. After breakfast we take the bus to the "Lost City of the Incas," Machu Picchu. We will visit the most important parts of the fortress on a guided tour of the entire site and later have free time to explore Machu Picchu in our ways. If you want, you have the option to climb the adjacent peak, Huaynapicchu. 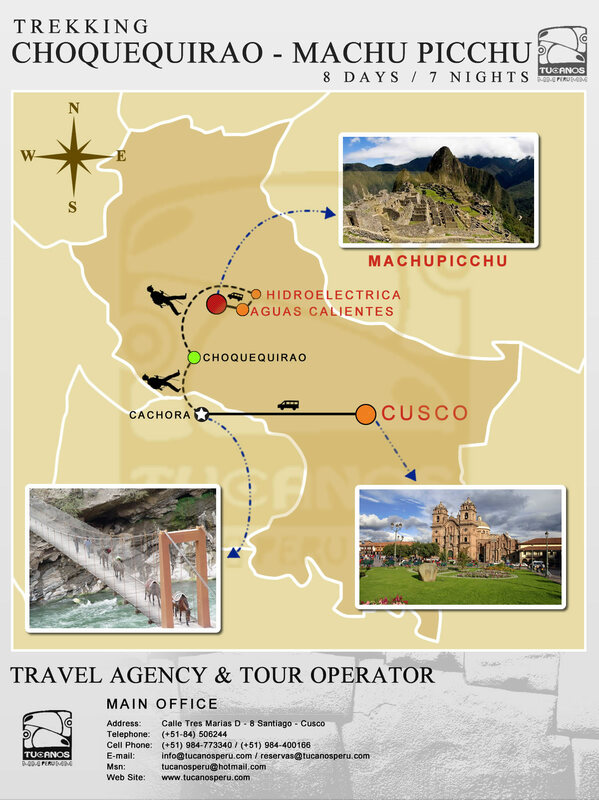 In the afternoon, we will take the train from Aguas Calientes to Cusco. What is Included? What is not includes?